Blood pressure also called as hypertension or sometimes called arterial hypertension, is a medical condition in which the blood pressure in the arteries is elevated. It is a serious disease that can lead to Heart attack, kidney failure, stroke and arteriosclerosis. Generally Blood pressure is measured by two measurements, systolic and diastolic, which depend on whether the heart muscle is contracting (systole) or relaxed between beats (diastole). If we are discussing about normal blood pressure then there are different definitions of the normal range of blood pressure. Normal blood pressure at rest is within the range of 100–140 mm-Hg systolic (top reading) and 60–90 mm-Hg diastolic (bottom reading). High blood pressure or hypertension is said to be present if it is often at or above 140/90 mm-Hg. 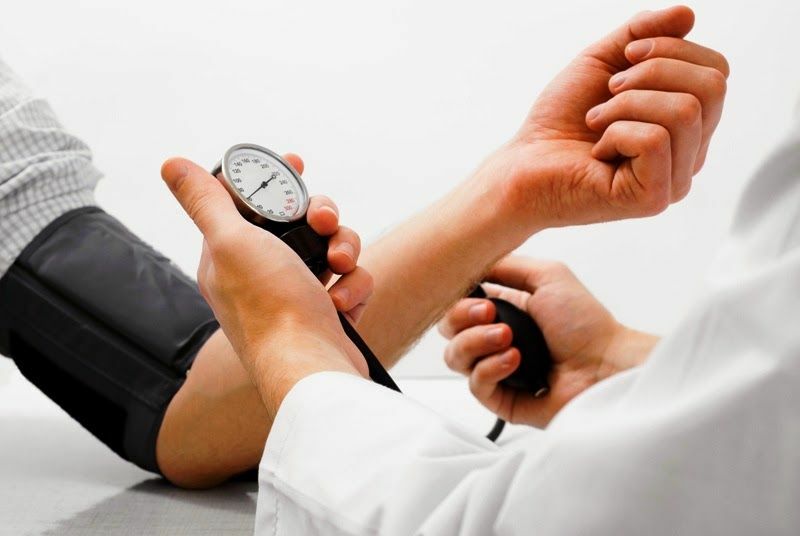 Everyone knows that hypertension is a silent killer; the most common symptoms of hypertension are shortness of breath, severe headache, nausea and dizziness. If you can use medicine supplements then go for a specialist doctor or you can stay here to treat with some home remedies. Lemons are the rich source of vitamin C and has antioxidant properties that help to minimize the effect of free radicals. It works to purifying the blood vessels and reduces the any possibility of hypertension. Use lemon on regular basis to kick off the any possibilities of hypertension. Simply Squeeze a lemon into a glass of warm water and drink on every morning with an empty stomach. You can also add honey to reduce its sourness. Precaution – Do not use salt and sugar with this remedy. Basil is the wonder herb; it has a traditional ayurvedic herb, using by Ayurveda medicine science (Indian traditional medication) since thousands of years. Take 5-6 fresh basil leaves and swallow them after chewing properly. Do this method daily morning on an empty stomach to get effective results. You can also add fresh basil leaves into salad, vegetables and other breakfast to get good results in hypertension. Watermelon is good source of vitamin A and C; It can help to treat high blood pressure and other cardiovascular problems and is also beneficial to the immune system. Take some dried watermelon seeds and poppy seeds (Khus-Khus); and make a fine powder by grind them. Take one teaspoon of this powder twice in a day, first in the morning with an empty stomach and second time takes it in evening. It is also known as carom or parsley. Celery seed is an ancient herb used as traditional medicine. Celery has been very effective to treat hypertension. You can make a tea of celery and drink it or eat one stalk of celery along with a glass of water every day to get rid from blood pressure. Garlic has the ability to reduce your blood pressure by causing your blood vessels to relax and dilate. It can help to reduce cholesterol levels and relax blood vessels by stimulating the production of nitric oxide and hydrogen sulfide. You can use garlic in both form as row and cooked, both are beneficial to you. Eat one fresh garlic clove daily in the morning or you can crush them by grinder and drink it with milk or water to away its burning sensation properties. You can also make a fresh garlic juice as, crush five cloves of garlic and extract the juice. Mix 5 drops of this juice into a glass of water and drink. Use this method twice in a day. Fenugreek seeds also known as Methi-Dana; are an effective herb to lowering high blood pressure due to their high potassium and dietary fiber content. It is a best supplement for omega fish oil content. You can soak two teaspoon of fenugreek seeds in a glass of water. Boil them on very next morning and then strain it. Drink this water when it become lukewarm and eat seeds. Boil two teaspoons of fenugreek seeds with water for about 2-3 minutes and filtering them. Then make a paste with these seeds by grinding. Eat this paste twice a day, once in the morning on an empty stomach and second in the evening. Follow this remedy for two to three months regularly to seem a significant and effective improvement in your blood pressure level. Cardamoms are the best chewing ingredient for reducing the blood pressure level. You can chew 2-3 cardamoms thrice in a day to get an effective change in blood pressure. Avoid use of Alcohol and quit smoking. Include more fiber and organic food into regular diet. Eat more fruits such as bananas and apple. Drink more coconut water; which is rich in nutrients. Avoid the use of salt. Eat more fresh and green vegetables and salad. These all the remedies are proven and effective to treat from hypertension and high blood pressure. If your disease is more problematic then go for a medical consultant to get a proper treatment. should i use ur remedy ..or take the allopathy precribed by my doctor..
what should i do now ? i heard from a friend (doctor) about the side effects ...Should i ignore the medicine and try your remedies..
Definitely eating soaked methi dana on empty stomach in the early morning reduces both high BP & blood sugar levels effectively. My family has experienced it.